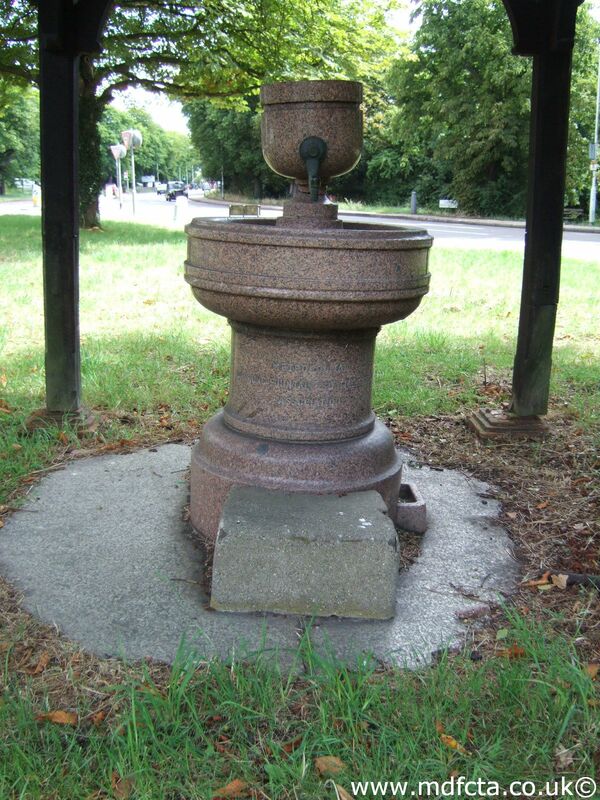 Are there any more Metropolitan Drinking Fountain and Cattle Trough Association cattle troughs in the London Borough of Islington? If you know of any other cattle troughs in Islington please send me details. 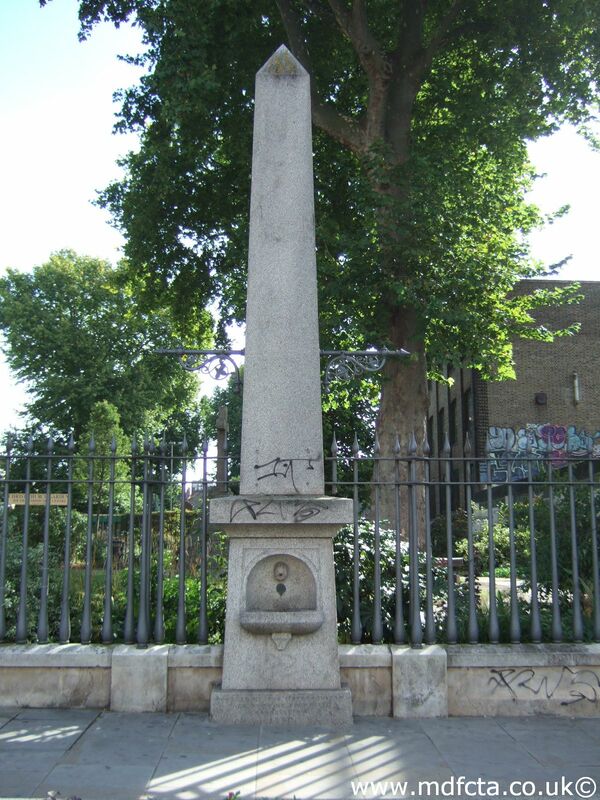 In February 1879 a 9ft 6in trough  was erected at Pentonville Hill close to Claremont Square. The gift of Mr. J.H.Buxton. 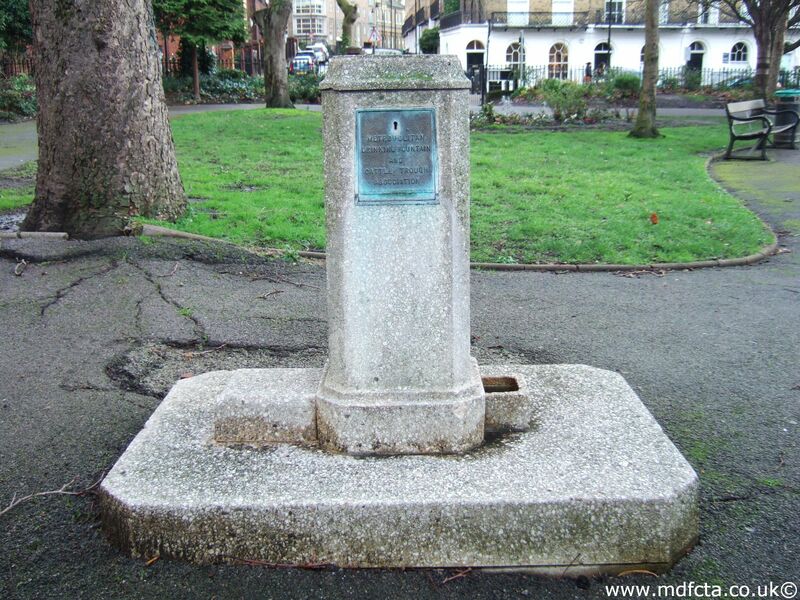 It was removed to Claremont Square in 1933. In January 1898 a 9ft 6in trough  was erected at St. John’s Lane. Cost defrayed by J Willis Esq. 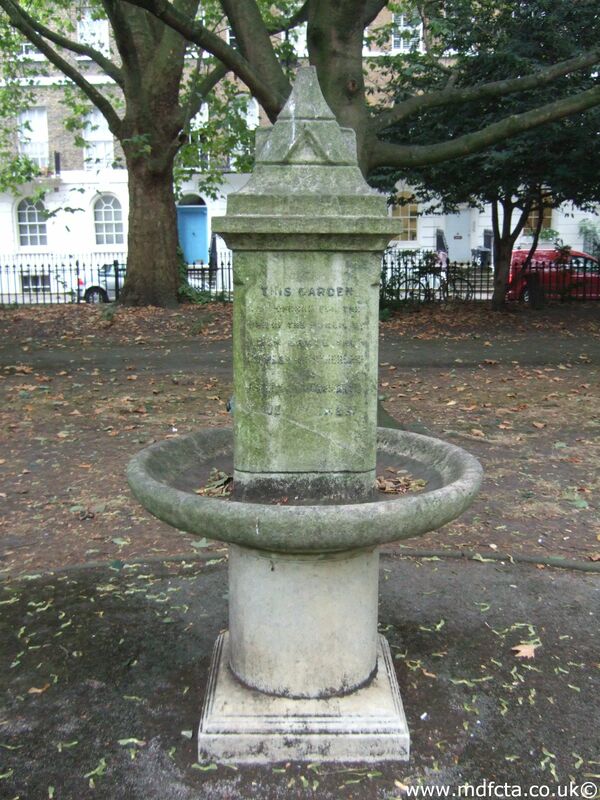 In January 1887 a 9ft 6in trough  was erected at St. John's Street by Albermarle St and Wilderness Road. The gift of Miss Paris. It was re-erected about 30 yards north near lamp standard Feb-1933. 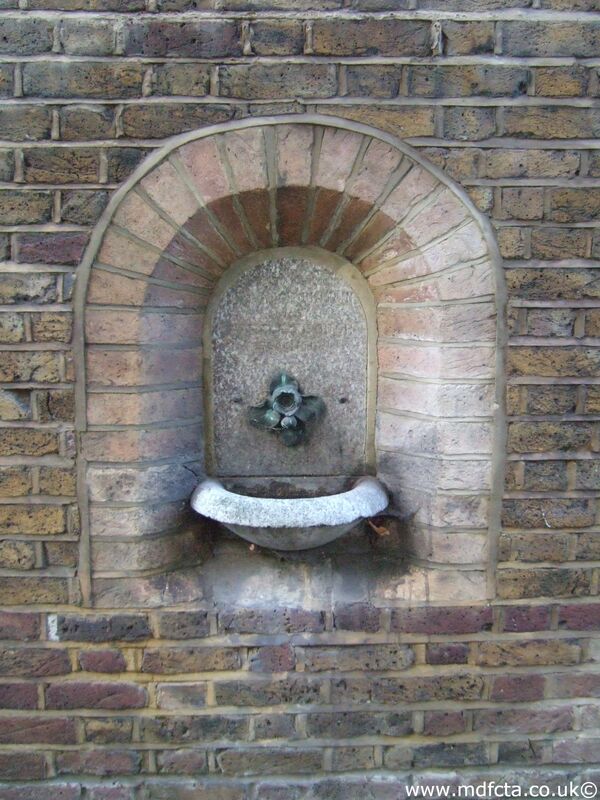 In November 1894 a 9ft 6in trough  was erected in Beaumont Road on the south-west side of road by Hornsey Rise. In memory of the late Mr Thomas Ayling. 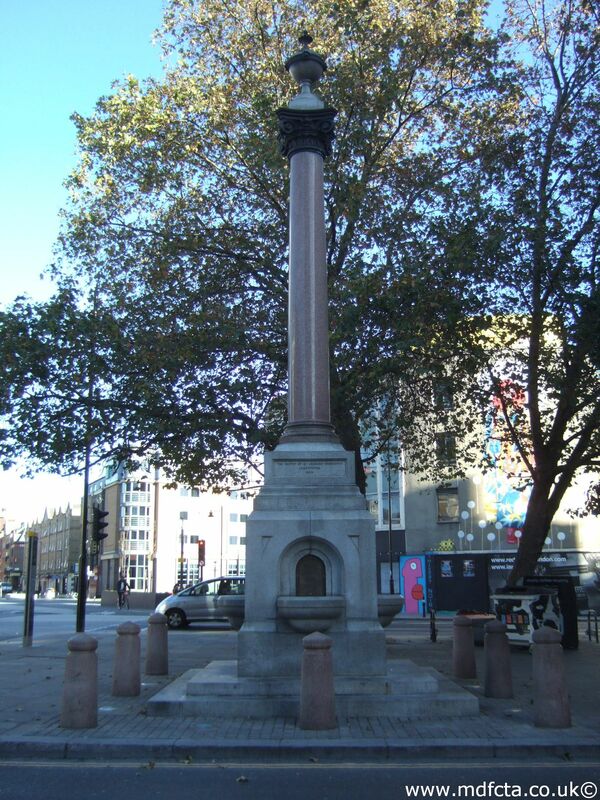 In May 1884 a 9ft 6in trough  was erected in Caledonian Road. On 28 August 1906 a 9ft 6in trough  was erected at the top of Crouch Hill on the GRR Bridge. Inscription: “In memoriam Marie Swan 1906. He prayeth well who loveth well, both man and bird and beast”. In 1884 a 9ft 6in trough  was erected in Halton Road by the Belinda tavern. 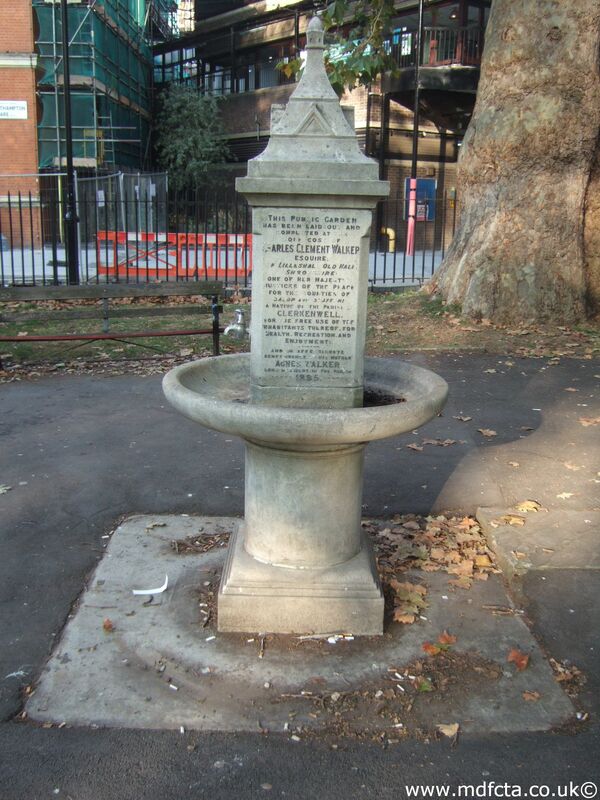 In August 1880 a 9ft 6in trough  was erected on Islington Green near the Myddleton statue. In 1885 a 9ft 6in trough  was erected in Liverpool Road. 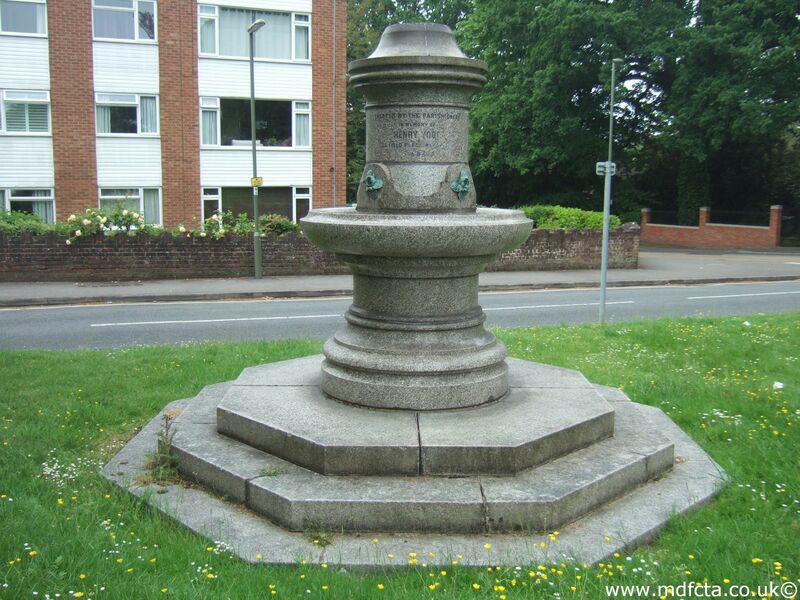 In May 1884 a 9ft 6in trough  was erected in Parkhurst Road near the Nags Head. In August 1879 a 9ft 6in trough  was erected in St. James Road. The gift of Mrs C Warr as a memorial to the late Mr Warr. In November 1898 a 9ft 6in trough  was erected in Wyndham Crescent. The cost was defrayed by J.H Buxton. On 9 July 1943 a 9ft 6in trough  was erected in York Road, Islington. It replaced an earlier trough  that was destroyed by a bomb in 1940. 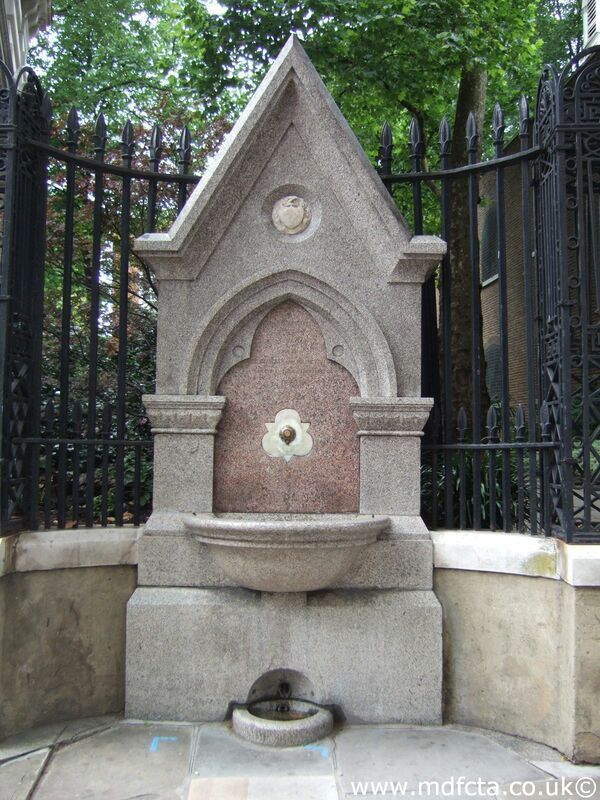 In May 1883 a 9ft 6in trough  was erected at the end of Southgate Street near Rosemary Branch Bridge. The gift of “Sympathy”. This trough may have been moved to Hyde Road. An MDFCTA trough may have been moved to Webb & Son Ltd, Book Binders, Warwick House, 294 City Road. 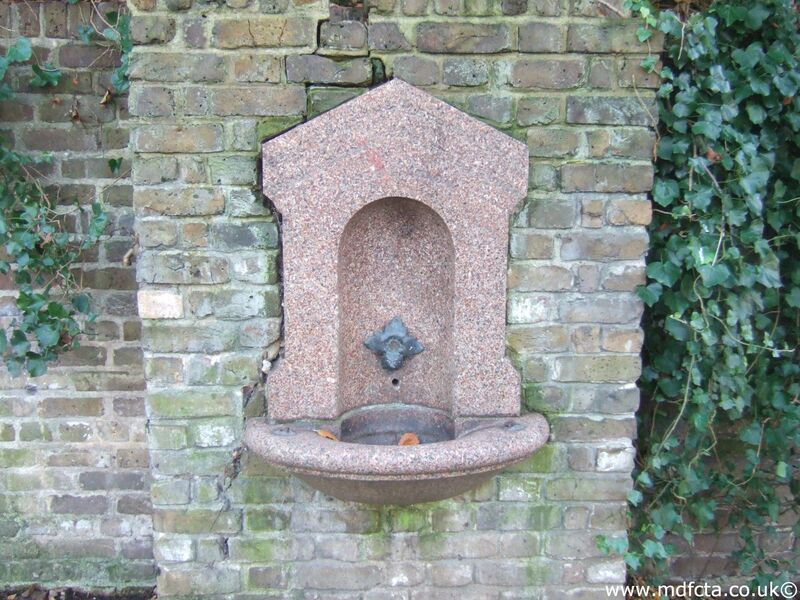 Are there any more Metropolitan Drinking Fountain and Cattle Trough Association drinking fountains in the London Borough of Islington? 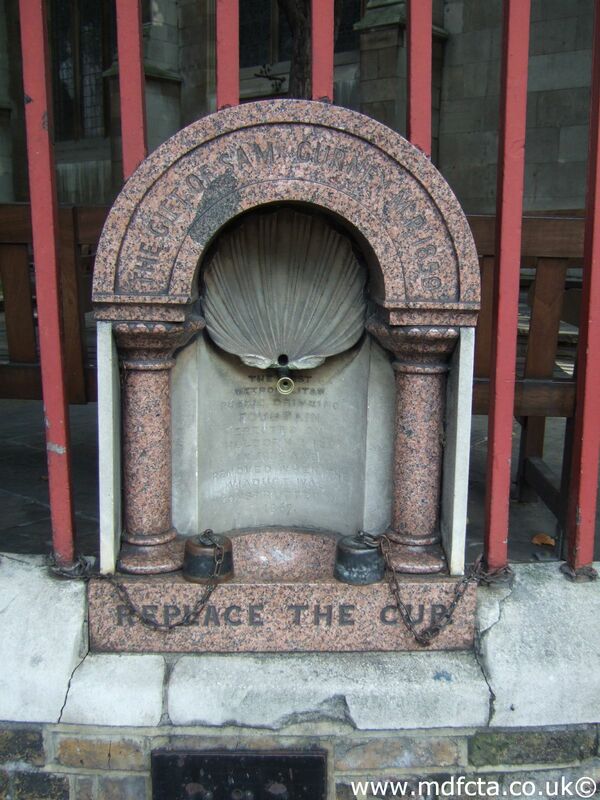 If you know of any other drinking fountains in Islington please send me details.